NEW makeup and beauty launches this year just keep getting better and better. I have gathered a bunch of new makeup products I'm lusting over and super anxious to try. 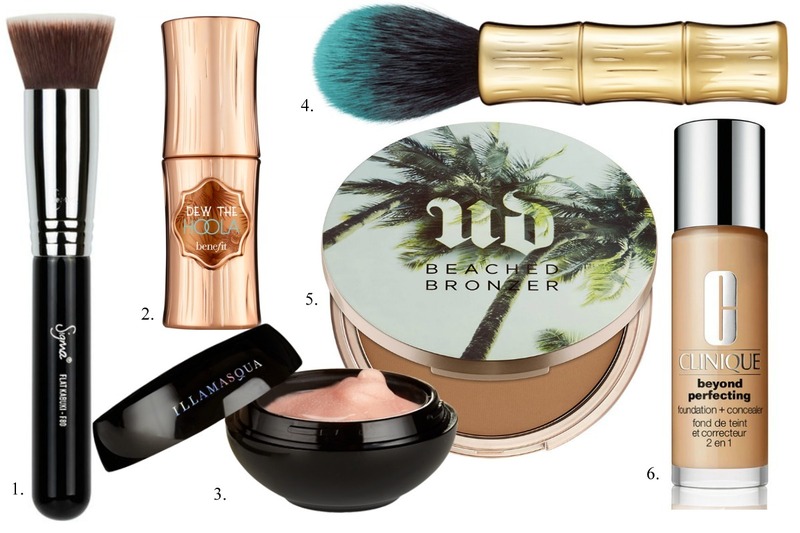 The makeup piece I'm most excited to try is the Urban Decay Beached Bronzer. Since I heard many people say how it makes you look like you're just back from the beach, I've been lusting over it so much. What new makeup products are you looking to try? There is so much I want try out. The new loreal Magique Cushion, benefit dew the hoola bronzer and Maybelline duo contour stick.